Create an heirloom, or give a memorable, treasured gift in JUST A FEW HOURS! Patterns will include instructions for each size and suggestions for larger sizes with additional yarn skeins available. 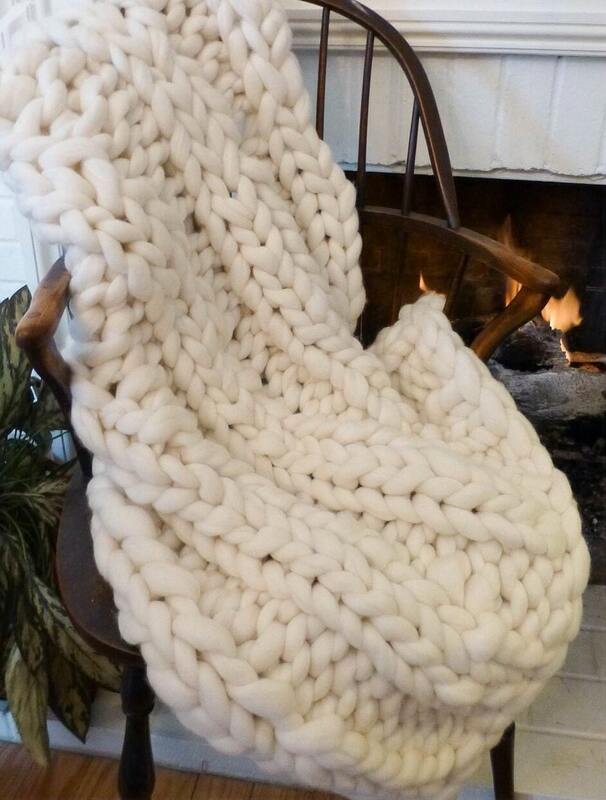 Chunky, soft and fun to knit up! It felt great to knit a whole blanket in just a few hours. Beautiful 'yarn'. Very fun to work. I played with it for a while trying to figure out how to use it and it maintained it's fluff. 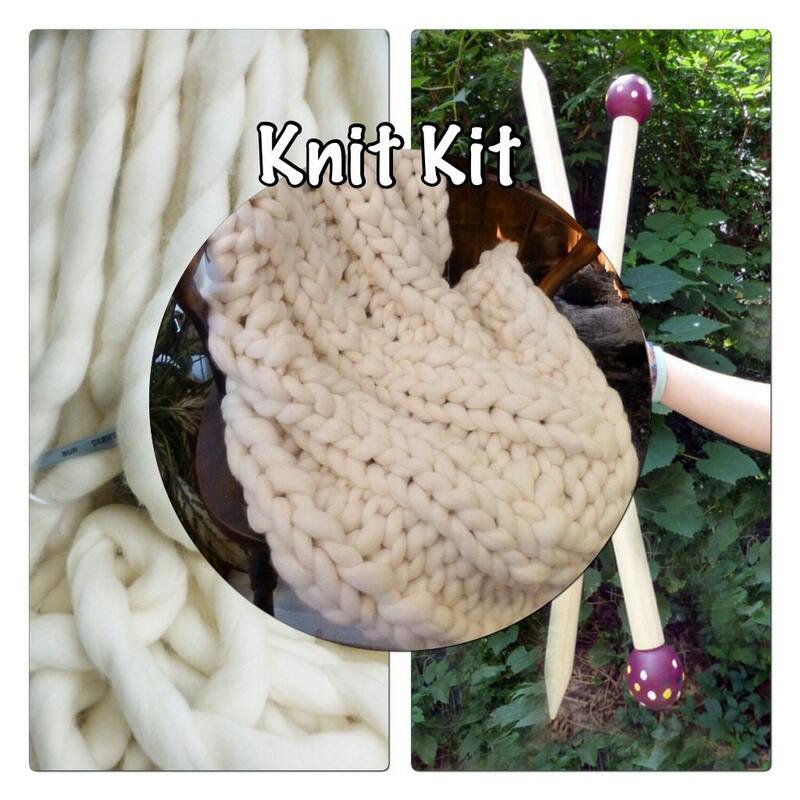 The knit kit is well-packaged. It fits the online description perfectly, and is fun to knit. Receiving this package was the best part of my day! The yarn is fabulous, soft and easy to get se. Smoosh sticks are well constructed. 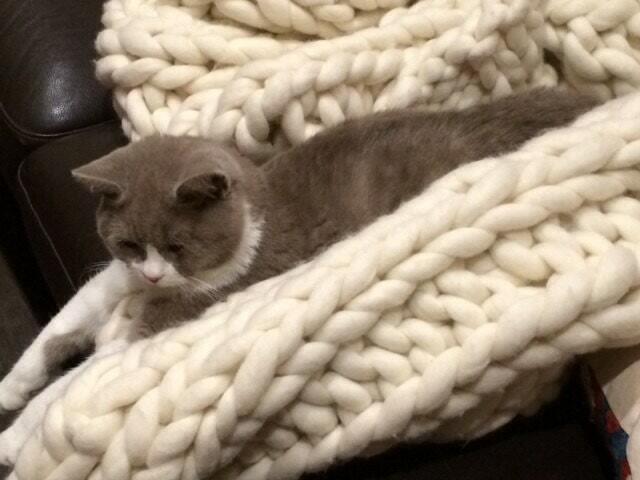 Can't wait to complete my blanket. Thanks! !